You cannot have good health if you do not consume food that is nutritional. How does nutrition, with its vitamins, minerals and other nutritional compounds promote a healthier lifestyle? Our country has became more and more industrialized having been taken over by corporations. This has brought destruction of our basic foods through GMO (genetically modified foods) and pesticide’s. With these altered seeds we have a new epidemic, malnutrition, in one of the richest farmlands in the world. Much of the problem with nutrition is not the quantity of food, but the quality of food we eat. People need 90 different nutrients to be healthy. You need carbohydrates, proteins (amino acids), lipids, and vitamins plus nutrients that include minerals. Water is sometimes included in a listing of nutrients. Quality proteins are necessary for the basic building blocks - amino acids - of all of our body cells. A new review involving dozens of studies of the antioxidant vitamins A, E and C, confirms this, finding the popular supplements don’t help you live longer. Vitamins and other nutrients are best absorbed and used by the body when they are derived from natural sources (plants and animals) and are present in naturally occurring complex compounds, not as separate compounds as formulated in pills. They work synergisticly together. One does not function without the others presence. As a result, some researchers now believe antioxidants work only when they are in food. Alice Lichtenstein, a professor of nutrition science and policy at Tufts University, not involved with the review, says the study’s main message is: “Rely on food to get your nutrients.” In fact, it is being found that people taking high doses of pill form antioxidants are getting cancers. I have been sounding the alarm on this issue of too much supplementation for 20 years. I have been sounding the bell that whole foods and herbs are the way to go not a bunch of pills. Are all pills bad? No, but most have depleted digestion. Most do not do the foundational basics of cleansing, re-establishing the gut with pre and pro biotics. So we have a quick fix mentality slamming into the alternative world and for the most part it is not working as it was intended. "Dr. Carl Pfeiffer spent his life studying the human brain, and at 50 years of age had a massive heart attack and his out look was not promising. Told to get a pace maker, he refused and instead he spent the next 30 years researching optimum nutrition and his conclusion is that with adequate intake of micronutrients and essential substances most chronic disease would not exist." "From my class book "Optimum Nutrition Bible" by Patrick Holford. "As a result of growing less nutritious foods, most of the food we eat today is fortified with calcium and vitamins. Unfortunately most of the calcium used is not the type that is readily absorbed by our bodies, nor do our bodies recognize most of the synthetic vitamins that are added. Dr. Barnet G. Meltzer, M.D., a well known authority in the field of Preventative Medicine and Clinical Nutrition, says liquid supplementation is superior to tablets, capsules, and powders; one reason being that the binders used to make pills are not readily broken down by the body’s digestive system. According to Dr. Meltzer, while vitamin pills have only about 10% absorption (15-19% absorption for chelated vitamins), liquid supplementation has minimum of 85% nutritional absorption. Dr. Monica Marcu, Pharmacologist, concurs, saying liquid nutrition is better used by the body than solid nutrition. " Herbs, are food. No matter what the FDA and companies like Monsanto is trying to do to control everything. These entities are a mechanism for pharmaceutical companies to gain control as they cannot patent food. The more we allow them to dictate to us about our own bodies we lose the battle and ultimately the war. Your votes and purchasing power can preserve our God given rights to God given foods. Use plant based products. That is what I offer on this site. 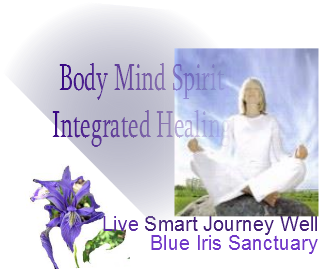 I offer advise, high quality products that can help you maintain or recover your good health.